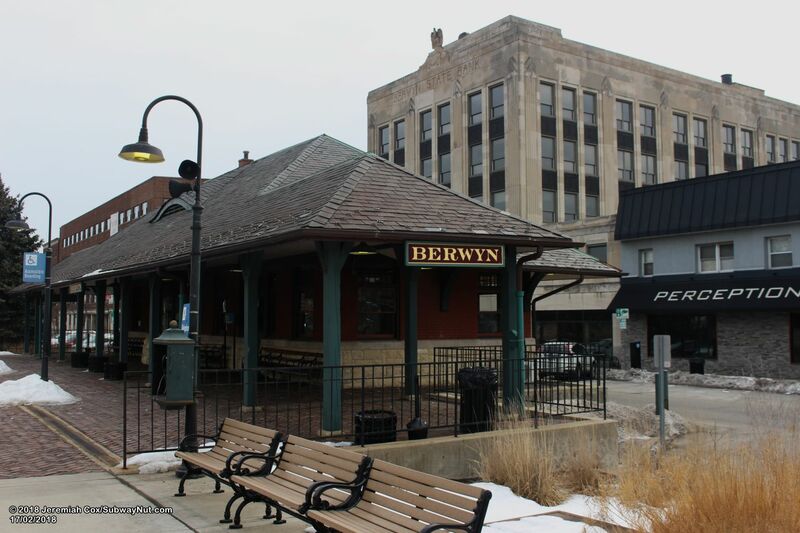 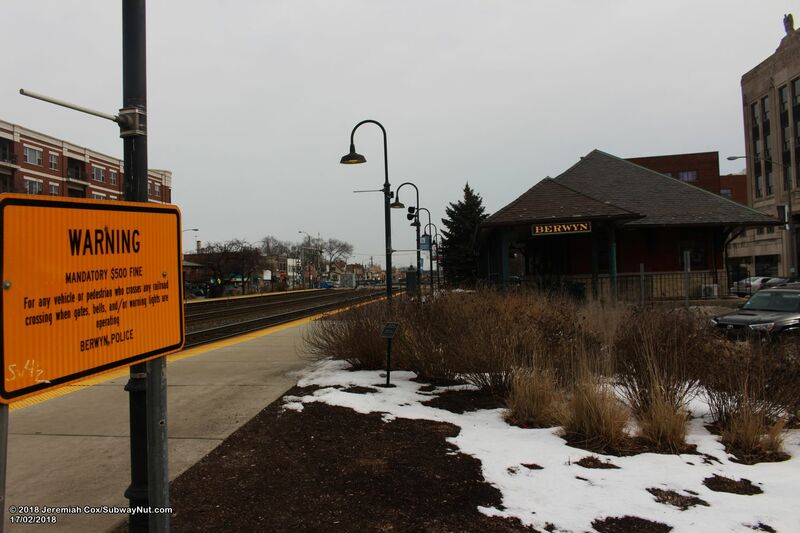 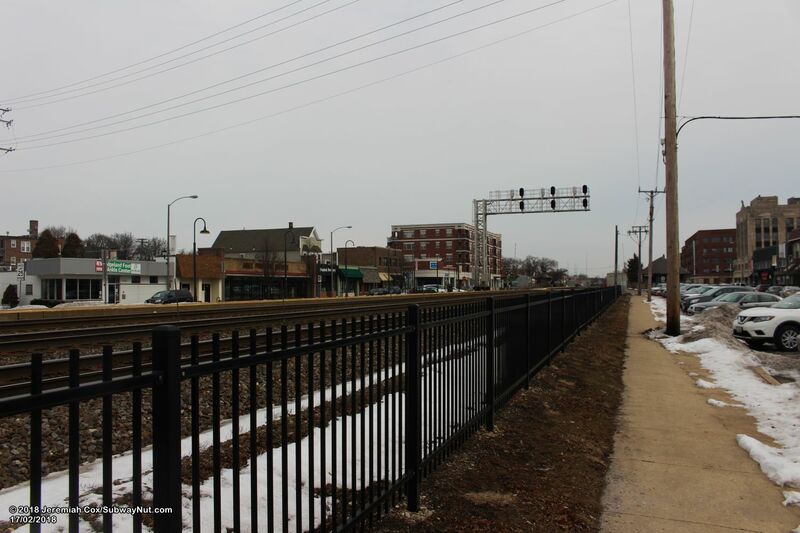 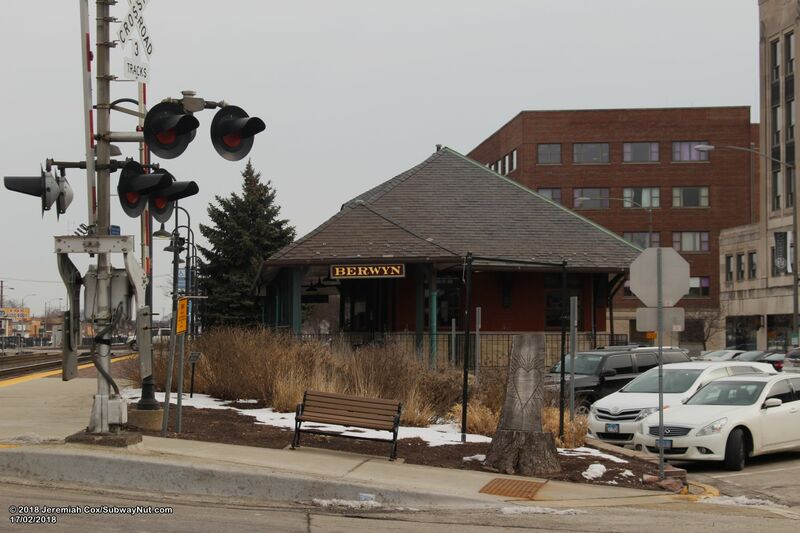 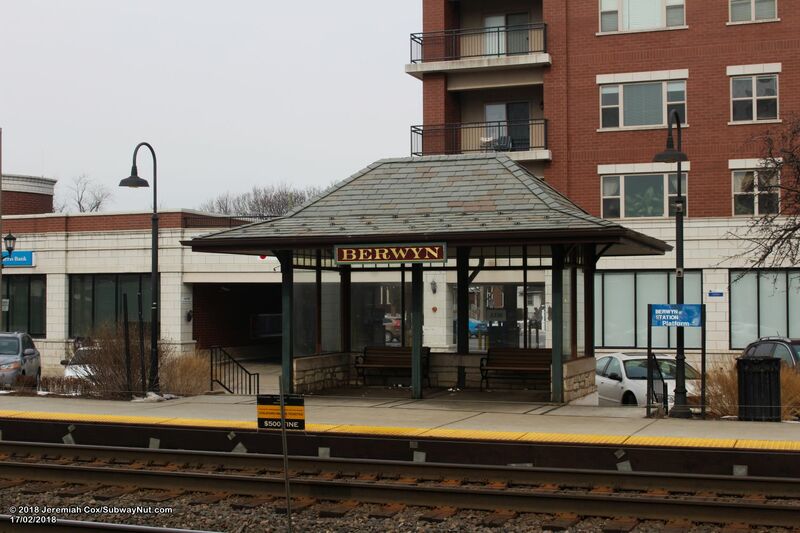 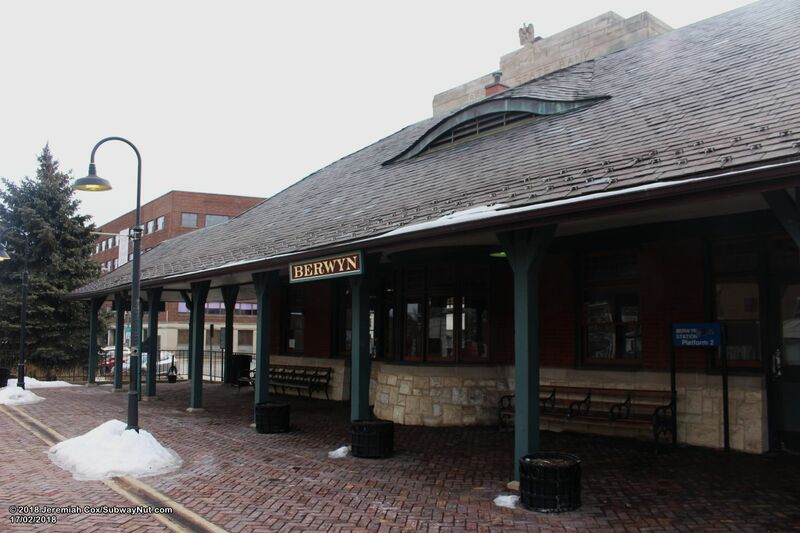 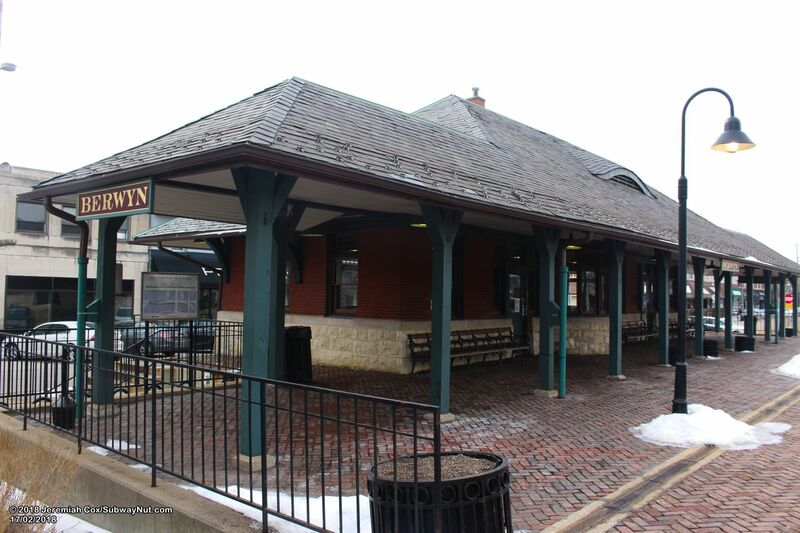 Berwyn is the middle and namesake Metra Station located in the inner-suburb of Berwyn. 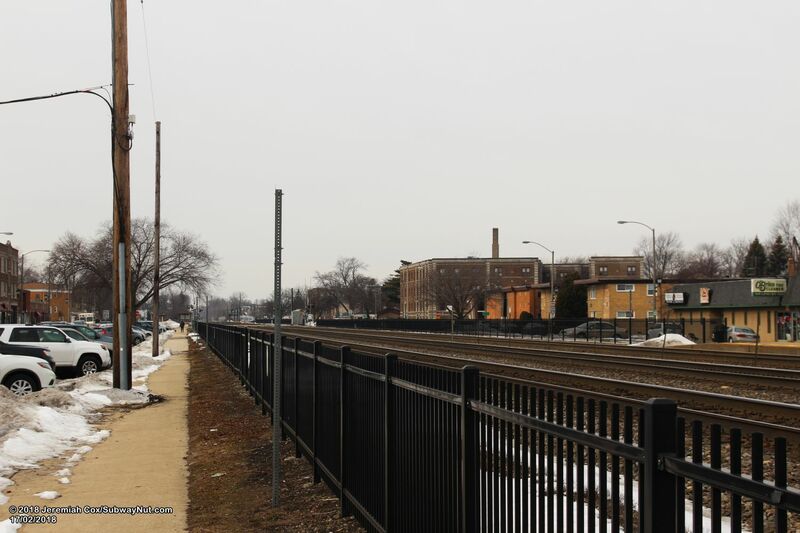 Harlem Avenue is just 0.4 railroad miles west, and La Verge is 0.6 miles east. 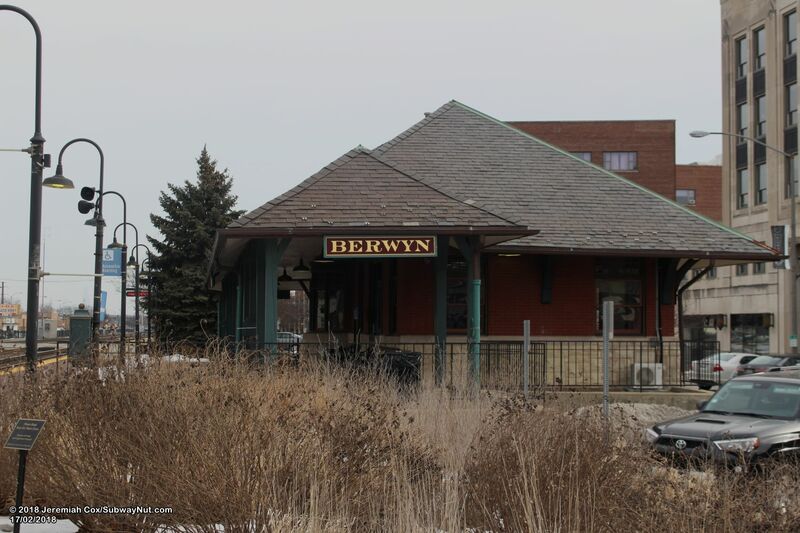 It is the easternmost station on the BSNF Line with a staffed ticket office. 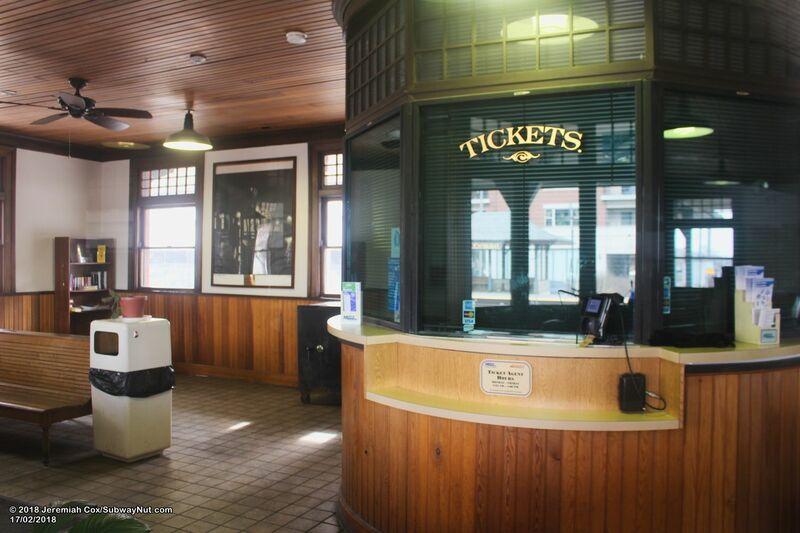 This ticket office is located in a historic station house built by the Chicago, Burlington and Quincy Railroad Line in 1890. 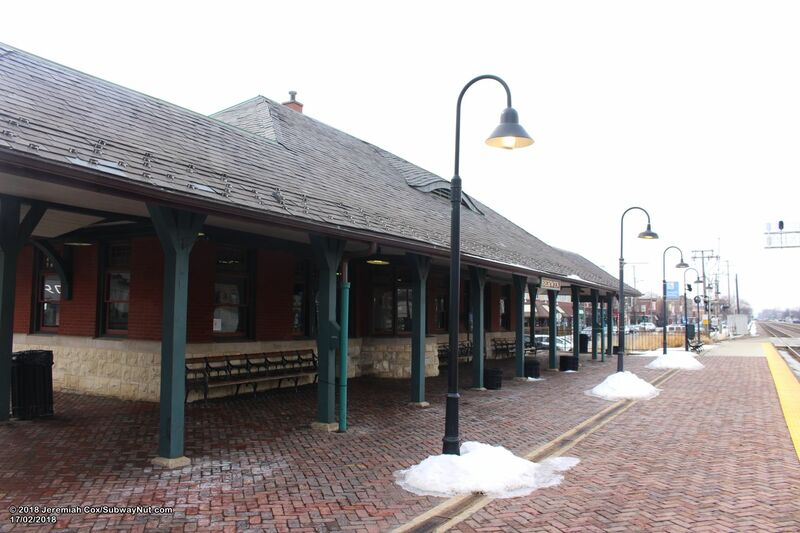 This Victorian single story station has a highly gabled roof that leads out to a porch and brick platform area. 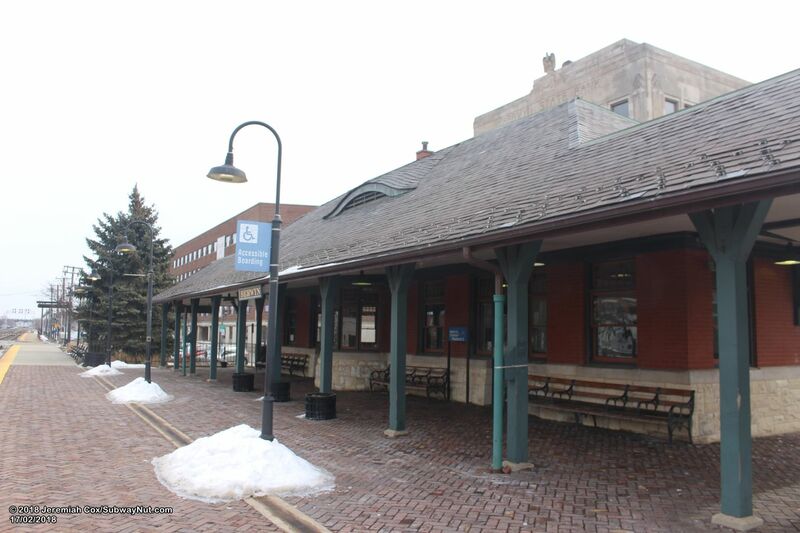 The depot was nominated to the National Register of Historic Places in 1982 but was not listed due to objections from then railroad owner Burlington Northern. 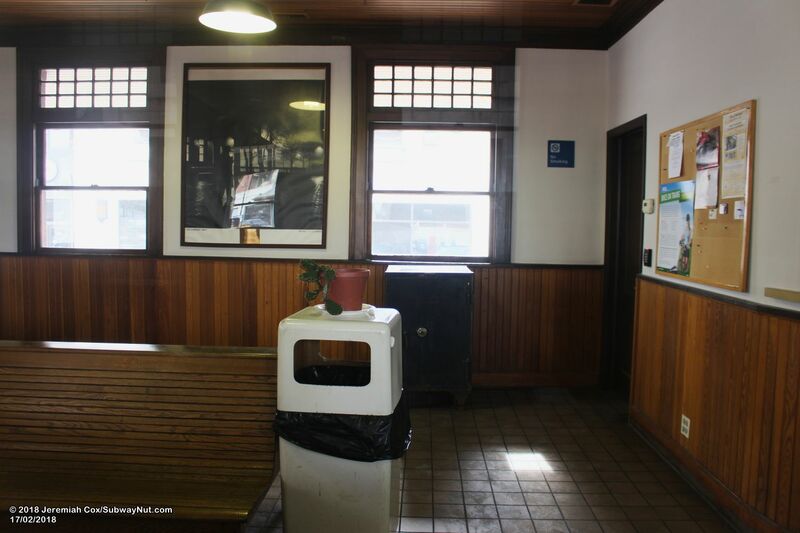 Inside is a ticket office and small waiting room opened for one weekday morning shift. 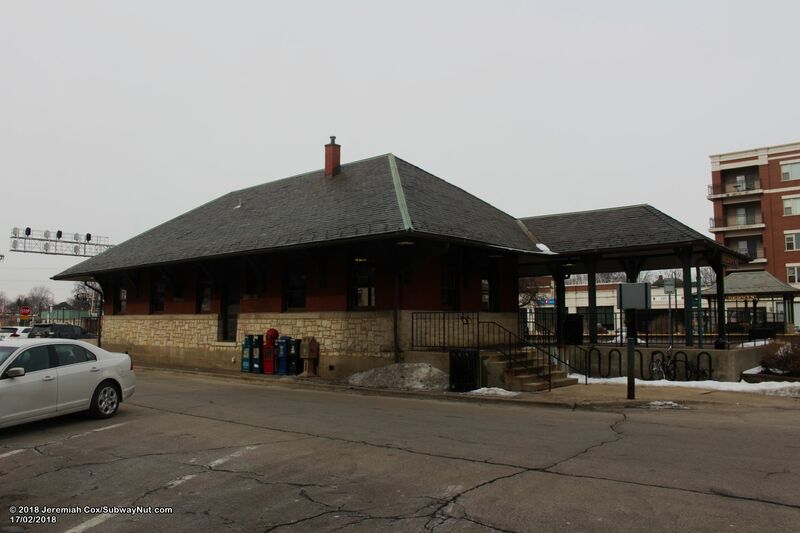 The depot is along the inbound platform, nestled between the platform and Windsor Avenue. 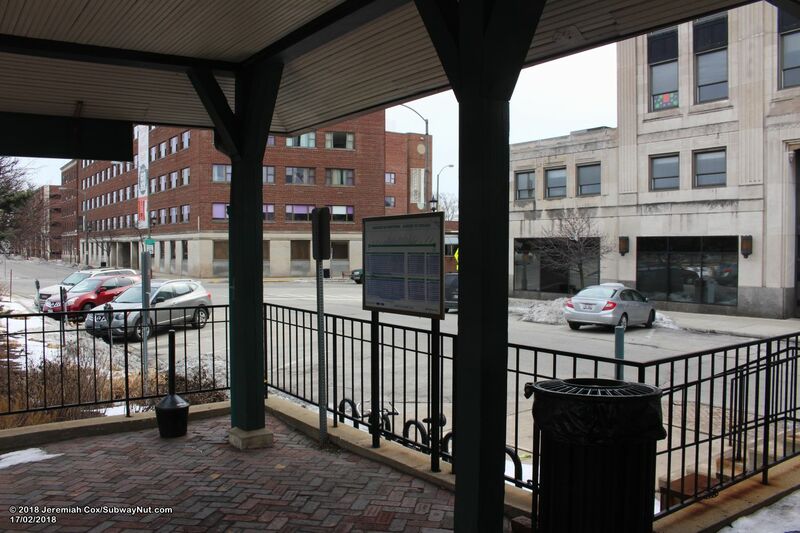 Across from the depot, the inbound platform has a small modern shelter with Plexiglas and a gabled roof and historic looking-sign in the same style as those on the Victorian-style depot. 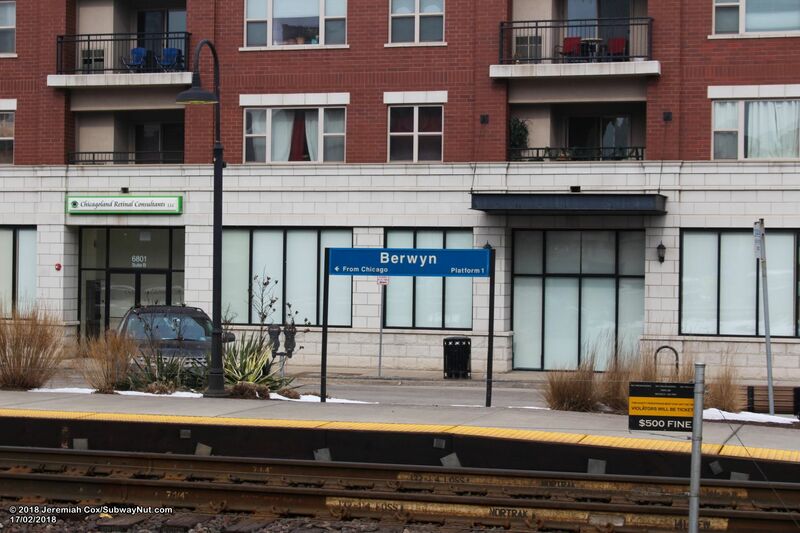 These signs have Berwyn in golden text on a red background and green border. 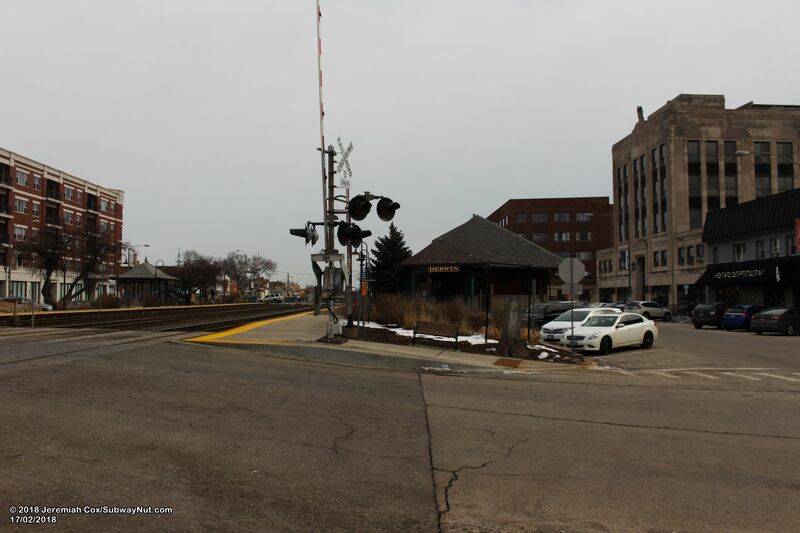 The station is located on the BNSF main line which has 3 tracks with two side platforms. 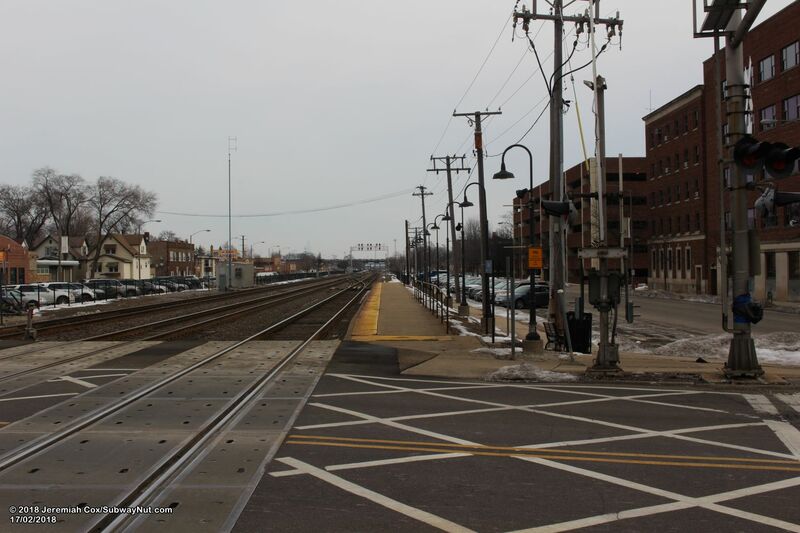 The depot is along the Inbound platform between the grade-crossings of Grove Avenue and Oak Park Avenue. 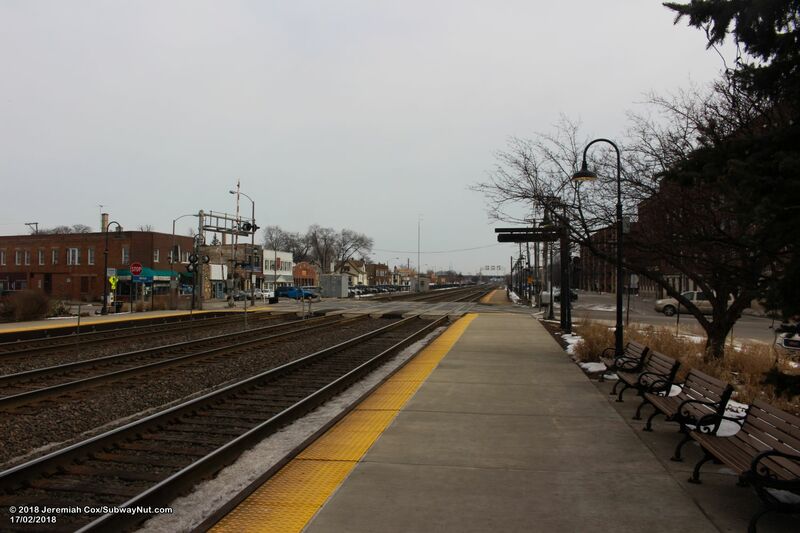 The platforms are offset of each other, the front-half of the Inbound platform is east of the main platform area, crossing the grade-crossing of Oak Park Avenue (ending at Euclid Avenue, split into two by the train tracks), the front-half of the Outbound platform extends west across the Grove Avenue grade-crossing ending beyond Kenilworth Avenue (split in two by the train tracks). 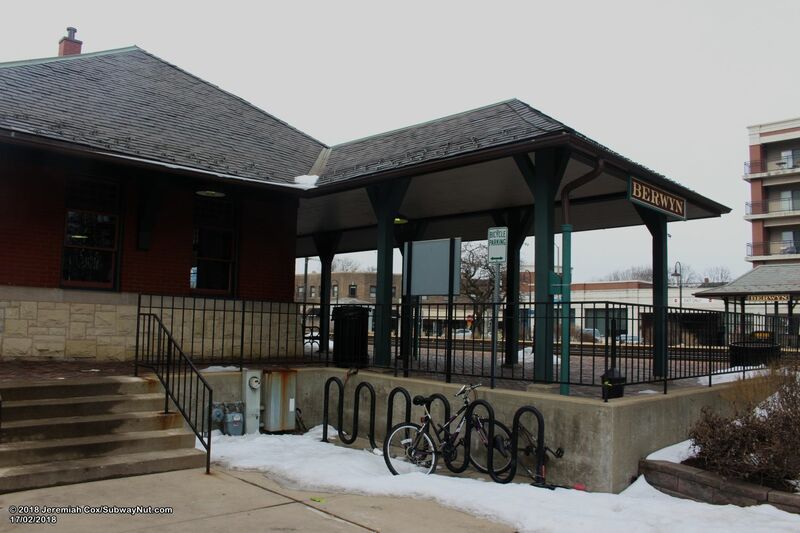 The station located in an inner-suburb has minimal parking, just street parking along Windsor Avenue (running along the Inbound platform) and Stanley Avenue (running along the Outbound platform).